Competitive Call of Duty returns this weekend with the CWL Las Vegas Open 2018, taking the community to foreign ground with offline Black Ops 4 competition and a new venue. With $250,000 on the line, together with heaps of pride heading into the rest of this exciting year of competition, this weekend of 7-9 December will set the tone for the coming months. Retaining the classic Open format, a 16 team group stage will be satisfied by 12 automatic qualifications (either through last year's achievements or points from this year) together with 100 open bracket teams scrambling for the remaining 4 spots. To settle the final 4 spots, a play-in tournament will be held on Thursday evening between the potent list of teams; including names such as Mindfreak, Tainted Minds and Str8 Rippin. Note that one of the most prominent changes from last year includes the removal of a continental barrier for players - all professionals are free to represent any team. Of course, there's the remarkably important fact of a new 5-player format, for anyone living under a rock. Besides the typical open bracket teams, there are the well-known teams aiming at that podium finish. Here, I'll also settle my need to make a list of teams to look out for - I won't dare predict a top 3, knowing that this is the first event of the year and anything could happen. I'll start off with the elephant in the room; Optic Gaming. They've simply looked incredible, being the most consistent team online in winning every single tournament so far, with very few teams managing to take a series off of them. Although this is reminiscent to last year's performance before LAN, this year's different. 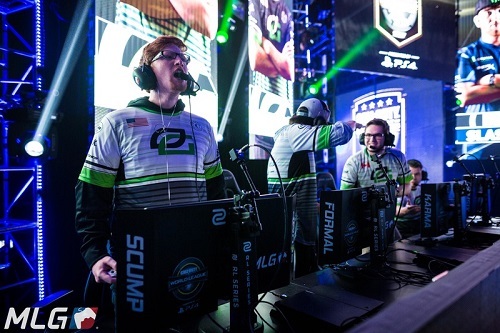 These past months have seen Scump returning to his grind and actually enjoying the title once more, which is rather dangerous. Crimsix has stepped up to his destined IGL role, Karma is now free to be as devious as he likes with 5 players on the board and the fresh skills of TJHaly and Dashy are working miracles for them in SnD and respawn gamemodes. As usual, it's their event to lose, and if they do they'll have to deal with the community pressure. Next, eUnited is definitely a top contender with Optic, also being fun to watch. 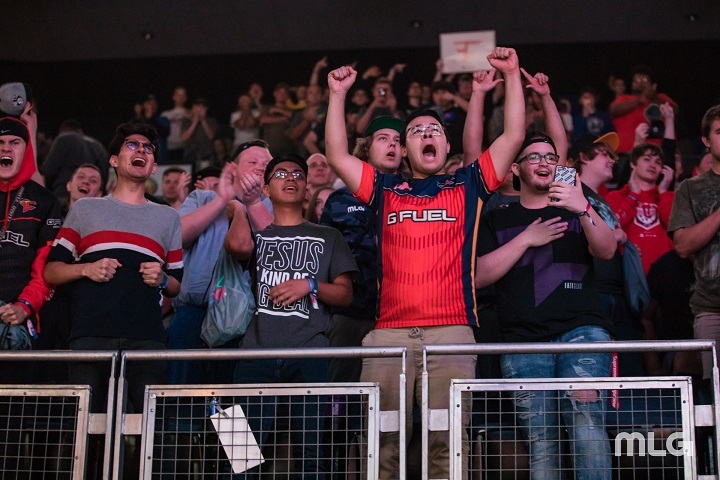 Last year's Champs, should anyone forget, eUnited was the crowd's favourite following Optic's early departure - the atmosphere was simply electric and the team played out of its mind. Retaining the leadership in Clayster, they've added the heavy experience from the side of JKap, even though many are sceptical of their cooperation with one another. The twins are also still present and as determined as ever - quite content with their curious fifth player in aBezy, a young gun new to the scene. Do note that Felo was indeed dropped from last year. The remaining are all a mesh of teams sitting at the same level: Red Reserve, Evil Geniuses, Luminosity, FaZe Clan, Splyce, Team Envy and 100Thieves. I could narrate the storyline of each time, but I'll stick to two who deserve the attention and quickly discuss the others. Red Reserve, in my books, are the best from this bunch. Being a favourite to watch last year, it was agonizing to witness their arrival to almost every grand final, only to be defeated by whoever made it their too - ending the year with a disappointing 7-8th finish. 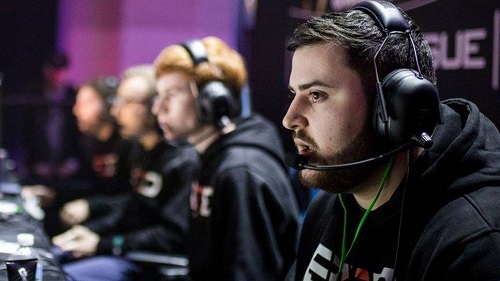 Nonetheless, the team is one of the very few to keep last year's roster, with the inclusion of the lethal skrapz, together with the addition of Bance from rival European squad Splyce. With this team chemistry and the overall creativity of the team, I've set high expectations for them. Also, they've been keeping their practice and scrims on the down-low; bound to surprise many at the event. Secondly, I simply must discuss 100Thieves. The so-called 'godsquad' began assembling right out of the gate, with pickups of Kenny and Fero, followed by a standstill. Struggling to seize arguably, the top available players in JKap and Karma, the team then signed Enable, SlasheR and Octane. The names of SlasheR and Kenny on the same roster are rather terrifying following last year, as these two could easy be considered the best AR and SMG respectively from that year. However, they didn't start off the year too well with shaky performances at the 2Ks, but it all doesn't matter in the scope of a $250,000 prize pool. Matt Nadeshot Haag is counting on this new team to reignite his return to Call of Duty. Something I have to add is the fact that the players of Team Envy will act as the defending champions, even though many are overlooking them heading into this event. We'll have to see if Aches and the squad, including the newly added Huke still have what it takes to prove everyone wrong again. All of this ambiguity will be settled this weekend, from the 7th to 9th December, where all the action will be streamed on Twitch. The pools have been drawn, the brackets predicted; all that's left to do is play the game - I cannot wait for Black Ops 4 to get started! Simultaneously, the local GO Malta Esports Festival will also be ongoing this weekend, hosting its own Call of Duty tournament hosted by none other than EEG. International teams will also be flying in to compete for the 5000 euros worth of prize pool. There's plenty of Call of Duty for everyone to enjoy this weekend!